AMD’s Ryzen 7 1700X has been compared against the Core i7 7700K and Core i7 6950X processors in single and multithreaded performance benchmarks. The performance results were validated on the CPU-Z database and reveal that AMD’s upcoming 8 core is one fast chip for enthusiasts. The AMD Ryzen 7 1700X processor was benchmarked in the CPU-Z performance test which evaluates both single and multi-threaded gains. The processor tested was operating at overclocked speeds so we can tell that performance should be a tad bit higher than the stock variants. The chip was compared against both Intel based Broadwell-E and Kaby Lake processors that cover the enthusiast and mainstream market. The AMD chip will be aimed at enthusiasts at a very competitive price. First we have the single-threaded scores so we have the AMD Ryzen 7 1700X and the Core i7 7700K in direct comparison. The Ryzen 7 1700X clocks in around 3.8 GHz boost and a little above 4 GHz with the XFR (Extended Frequency Range) feature. The Intel Core i7 7700K chip clocks at 4.5 GHz boost clock on single core enabled. The AMD 1700X processor scored 2327 points in the benchmark compared to the 7700K’s 2301 at stock speeds. The Core i7 7700K is Intel’s fastest clocked processor and AMD beating it with their new Ryzen is something to be excited about. The AMD 1700X will retail at $399 US which is a little bit higher than the 7700K’s $339-$350 price range. The second performance test is in the CPU-Z multithreaded benchmark. Here, the AMD 1700X is being compared against the Core i7 6950X from Intel. The Core i7 6950X is Intel’s flagship processor, boasting 10 cores and 20 threads which are more than AMD’s 8 core and 16 threads. 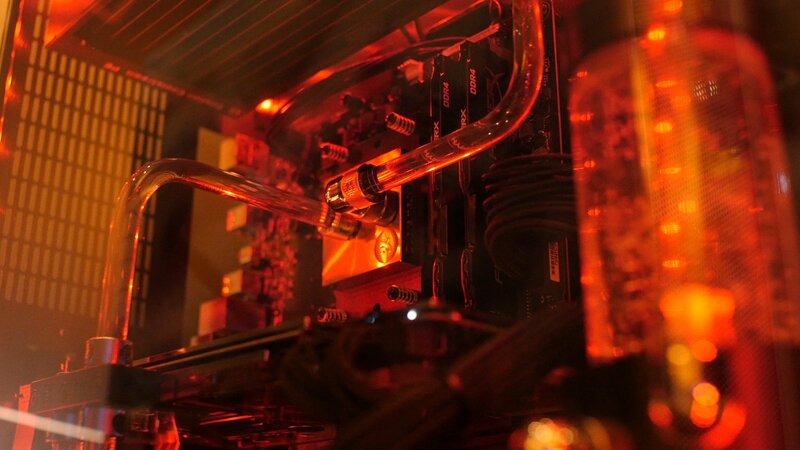 This processor retails for an insane price that’s well above $1700 US. In the tests, the overclocked 1700X scores 19874 points compared to Intel’s 6950X’s 15695 points which is utter destruction of Intel’s flagship in terms of both pricing and performance. There’s a difference in pricing of over $1400 US between the two chips and here we see AMD coming out on the top of Intel’s best processor offering. The AMD Ryzen 7 range will feature the fastest “X” variant in the lineup. This processor will be known as the AMD 7 1800X and will feature 8 cores and 16 threads. This model is expected to operate at base clocks of 3.6 GHz and boost clocks of 4.0 GHz. The performance of this processor should be on par with Intel’s Core i7 6900K. Other details include an L2 + L3 cache of 20 MB (4 MB + 16 MB) and a TDP of 95W. The chip will have enthusiast level pricing at $499 which compared to Intel’s 6900K ($1000 US+) is a great deal. The rest of the processors in the Ryzen 7 family are also 8 core and 16 threaded variants. 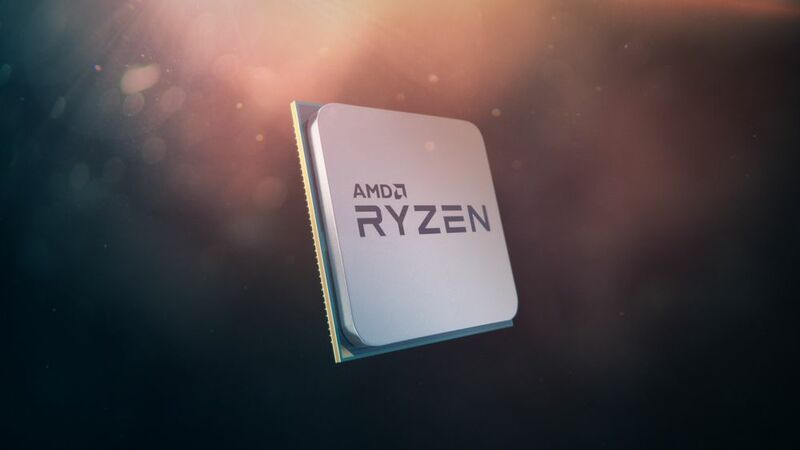 The Ryzen 7 series has clock speeds ranging from 3.0 GHz up to 3.6 GHz. The processors include Ryzen 7 PRO 1800, Ryzen 7 1700X, Ryzen 7 1700 (Gaming and CPU Benchmarks here) and Ryzen 7 PRO 1700. The AMD 1800X also managed to break the 8 core Cinebench R15 performance world record last week, more details here. AMD’s Ryzen 7 processors will launch on 2nd March, 2017 followed by mainstream chips in Q2 2017 and budget-tier chips in 2H 2017. Retailers have already dropped prices on several Intel processors which hints at the start of a major price war which will be seen between the two CPU rivals after several silent decades. For the full AMD AM4 motherboard lineup, visit our detailed round-up on this page.